Please contact the office if you would like to hear more information about Carden Conservatory. Join Us for the 2018-2019 School Year! Sometimes it’s difficult to know exactly where to send your student to school in Huntington Beach, CA. At Carden Conservatory, we wish to provide a positive experience for you and your child. At Carden Conservatory, we pride ourselves on helping children from the ages of two to 15, not only with their core academic classes, but with finding a sense of inner peace, a trust of others and a spirit of service. While we know the core academic classes are extremely important to the development and success of our elemntary school and middle school in Huntington Beach, CA, we believe an absolute commitment to courses, such as music, art, foreign languages and physical education, is just as important. This commitment helps distinguish our school from any other private school in Huntington Beach, CA. At Carden Conservatory, our students score high on the state standardized testing, and not only higher than average, but two to five years above the grade level they are in. 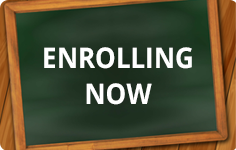 Carden Conservatory believes you can join our school at any point, preschool through middle school, and you will receive all you need to succeed and become a part of the Carden family. We have seen children enroll for seventh and eighth grade only, and they thrive and quickly come to realize how much higher our standards are, how different the educational experience is for our students, and how it benefits them. One of the biggest obstacles to a good education is large class sizes. At Carden Conservatory, we strive for smaller classes with a 12 to one maximum student-to-teacher ratio. We feel individualized learning is important and no one should be left behind because a teacher can’t keep up due to the sheer volume of students in their class. We also foster a sense of family at Carden Conservatory, from the teachers to the students, and from the parents to the staff. We also feel no one should have to miss the great education we offer, which is why we work hard to ensure we have reasonable financial aid options for our students at every age, including preschool and kindergarten in Huntington Beach, CA. Amazon will donate 0.5% of the price of your eligible AmazonSmile purchases when you shop at AmazonSmile (smile.amazon.com). Log in, sign up to support Carden Conservatory Parent Support Group and shop away!! 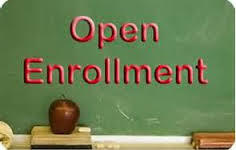 Please visit our Preschool Website for information about Carden Conservatory Preschool.